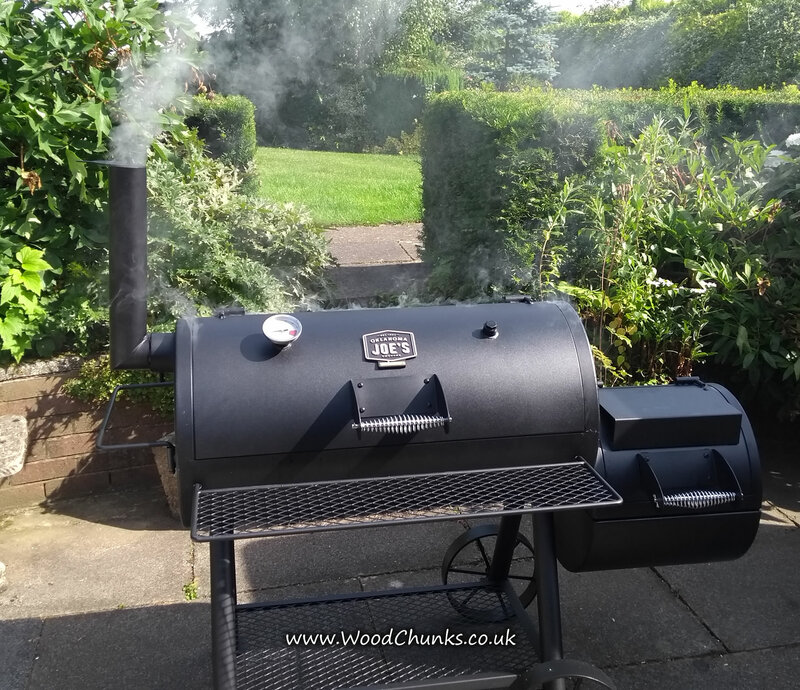 Like many other things I have been meaning to build an offset smoker for so long, have collected many bits and bobs in readiness but never got around to it. When I saw ASDA selling of the highly reccomended Oklahoma Joe for the price of a cheap tin replica I jumped at the chance. 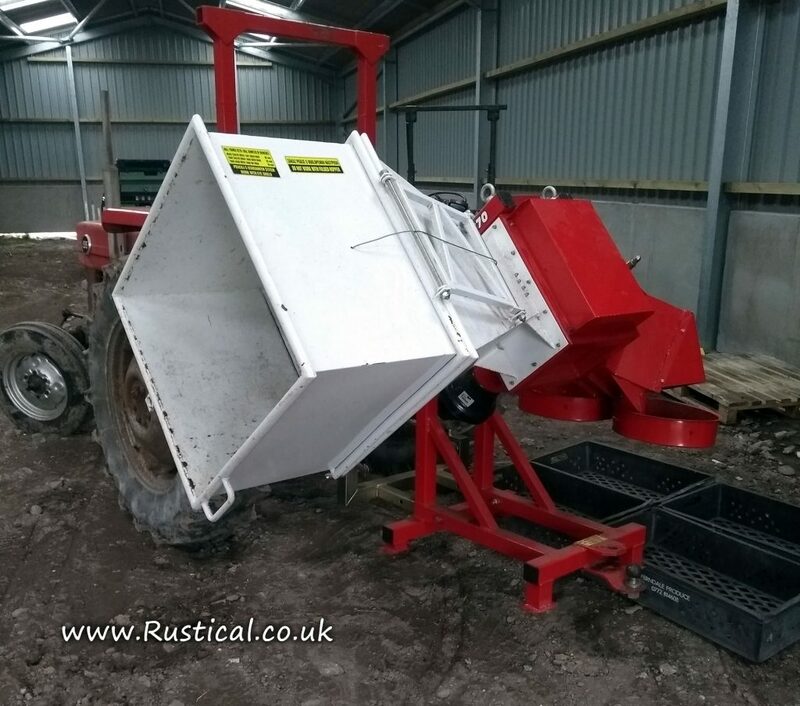 It was delivered two days later and having watched a few Youtube videos of suggested modifications it was put together with all joints sealed with black high temperature silicone sealant (from Screwfix). Today was the day to ‘cure’ the beast in readiness for cooking. The book suggest two hours but we will give it an eight hour burn just to be sure. It will be a good way to learn more about the differences between the flavours that our www.WoodChunks.co.uk impart. The first item out of the smoker is our home grown garlic. 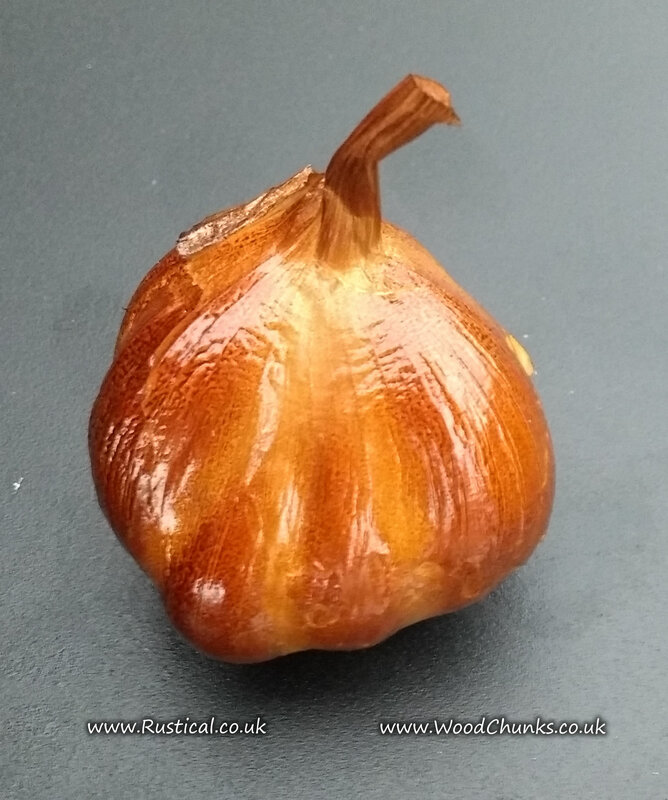 Two hours at 225f on mixed hardwood wood chunks left the garlic bulbs perfectly finished and flavoured. I think Joe and I are going to get along just fine! Not a chore I particularly like as I am not a big fan of having my fingers so close to a bandsaw blade but it has to be done; preparing heartwood wood chunks. 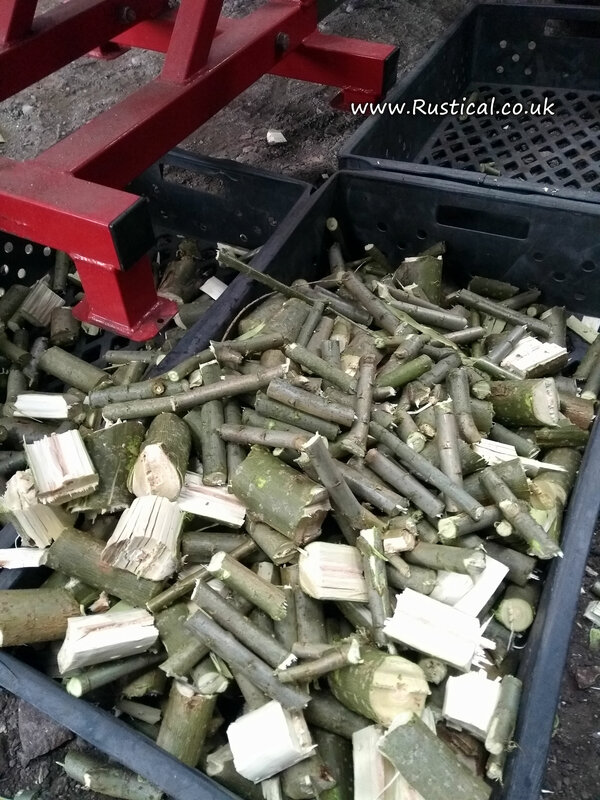 The oak is first cut into rings on the bandsaw and then chopped into pieces using an axe. 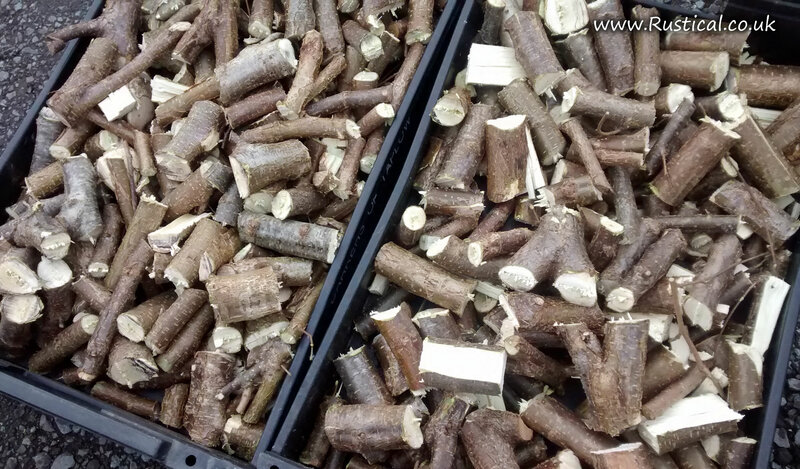 The pieces are then air dried to approx 20% moisture which is ideal for using for smoking food by placing the chunks on top of a charcoal bed. 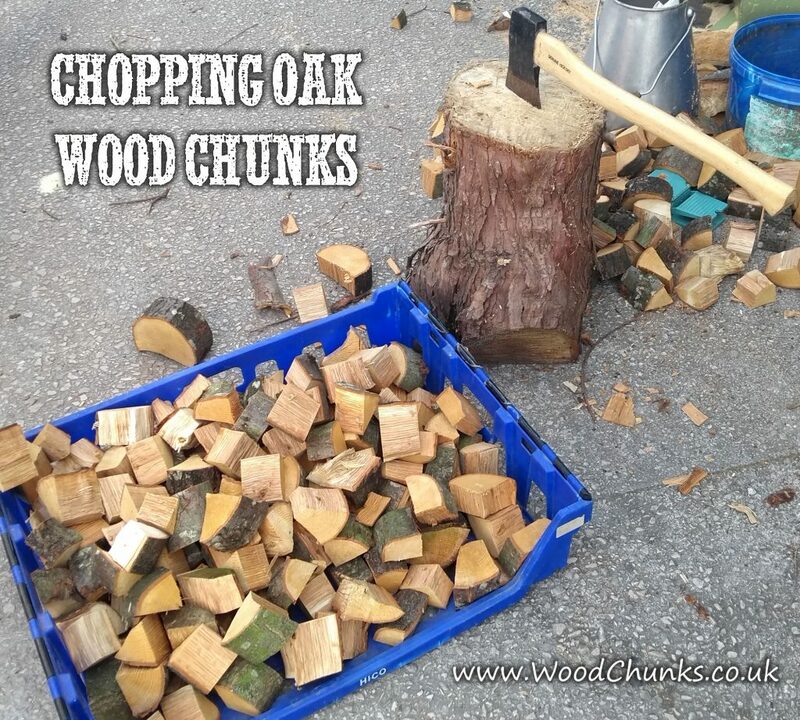 (Our branchwood chunks by contrast are generally used without any charcoal). Both heartwood and branchwood wood chunks are sold on our www.WoodChunks.co.uk website. 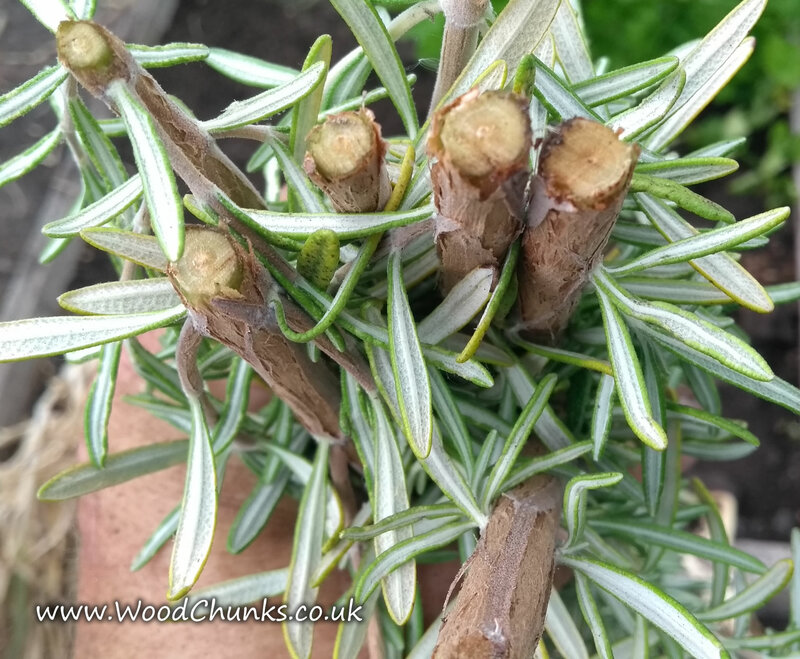 Today we also sent out a pack of our Rosemary ‘wood’ which is used by a restaurant customer. 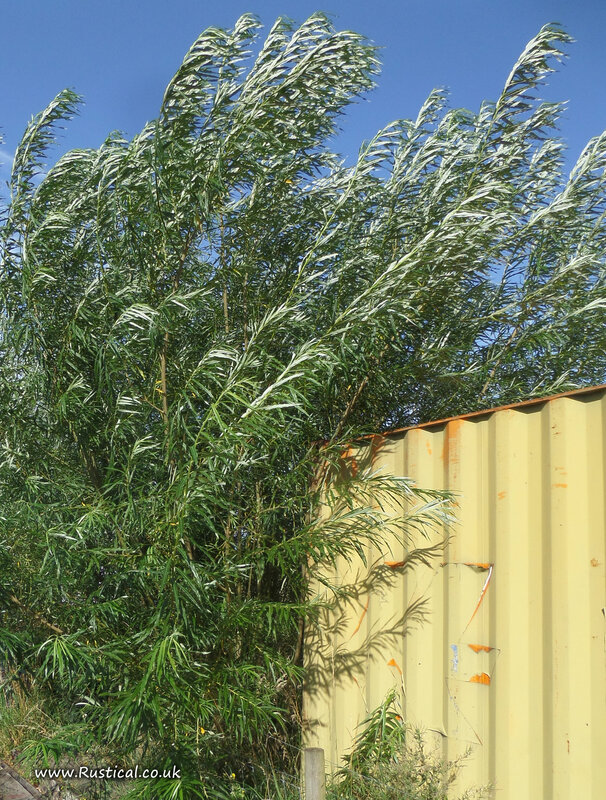 The wood stalks are taken from three year old rosemary plants and are used for both the rub and generating flavoured smoke. 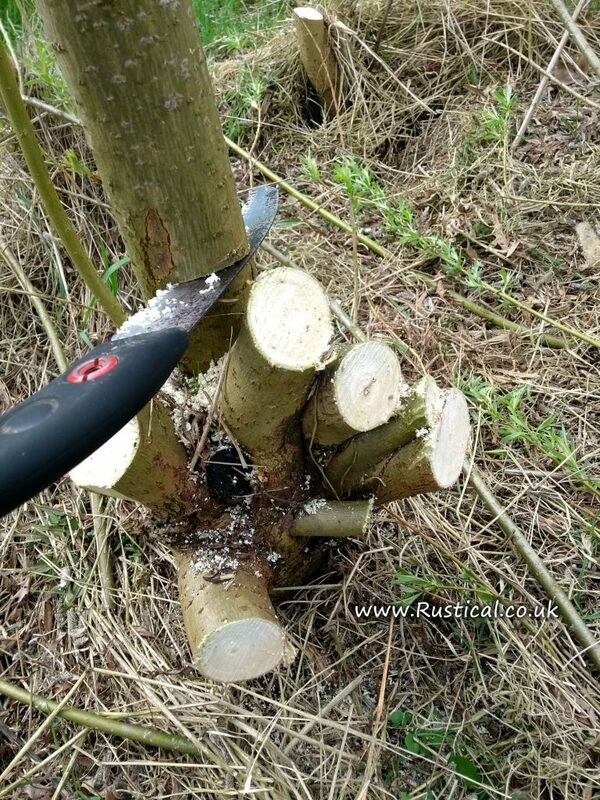 The leaves are stripped to use fresh or dried but the oil rich stem wood is used as a flavouring on top of charcoal barbecue briquettes in a smoker. We have a new Customer. Stuart from Southport is a new customer. Stuart has specific requirements for his 10 hour smoked brisket and he came to see if we could meet his needs. The answer is of course ‘yes’ but that isn’t what prompts this post. 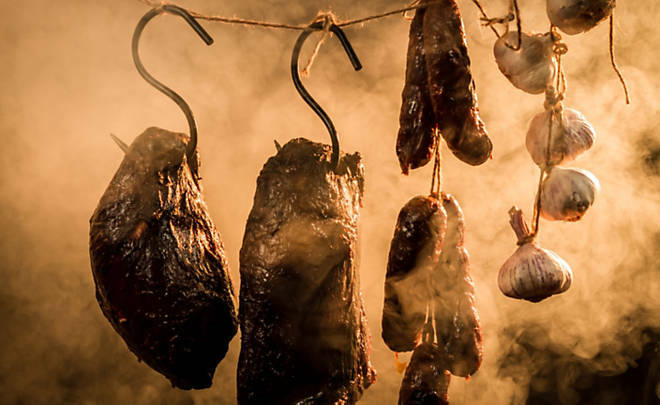 Perm any of the above with the ideal length of wood which obviously varies with each smoker and then perm all the above with the degree to which it has been seasoned; Fresh cut, partially seasoned or fully seasoned. 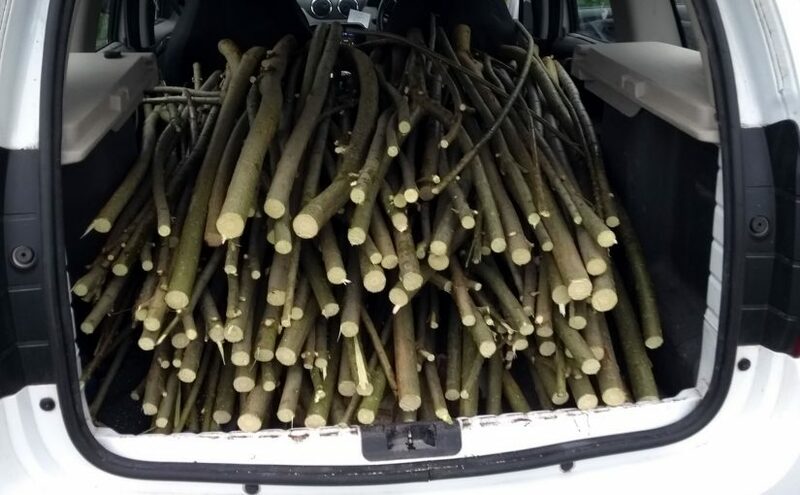 That’s the wood sorted then. 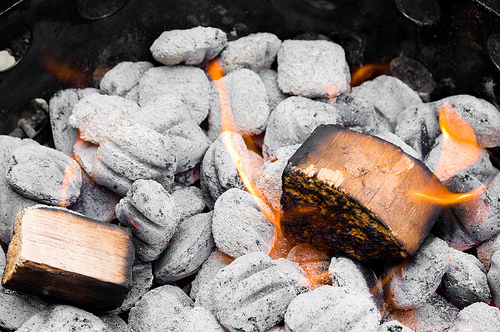 Next is how it is used… hot smoke, cold smoke, 100% selected species, chunks/chips on charcoal, mixed hardwood chunks with selected species added at half time, one burn, multiple burns, top up burn, soaked or burned dry etc etc etc. This isn’t a problem but it was a bit of a revelation in that it became obvious that we cannot stock all permutations! 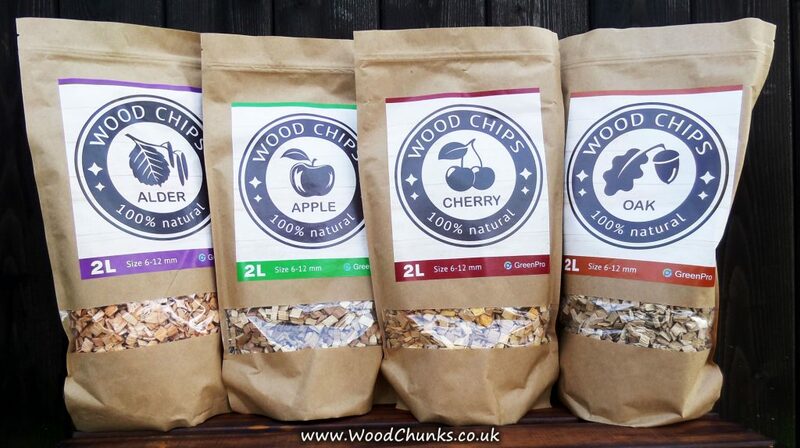 Whilst we will continue to carry stock of our most popular wood smoking chunks and chips, rather than feel guilty about never having their ‘perfect’ woods immediately to hand, what this we can do is to note our customer preferences and advise them on an individual basis when woods arise that match their criteria. 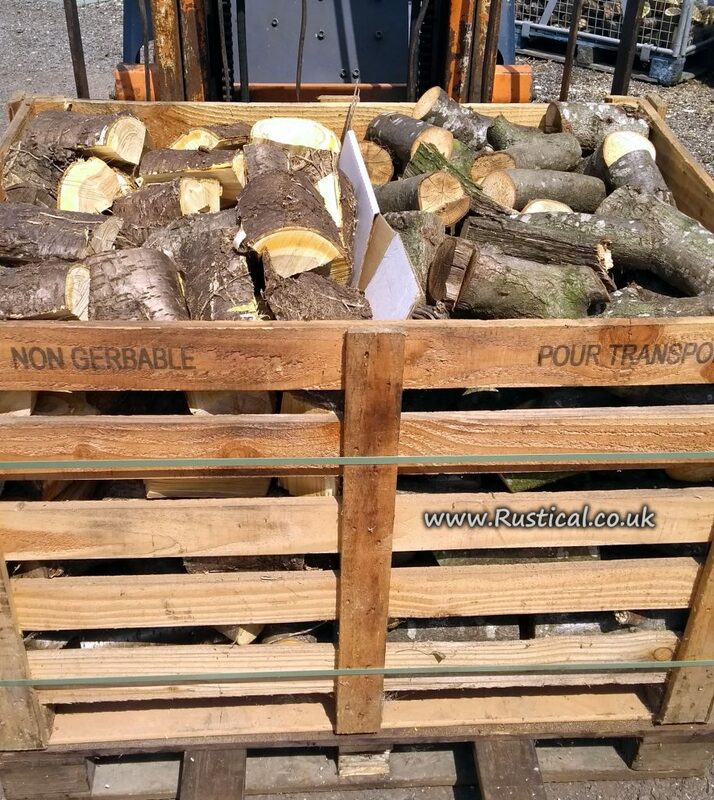 Hence, here is a crate of logs for Stuart. 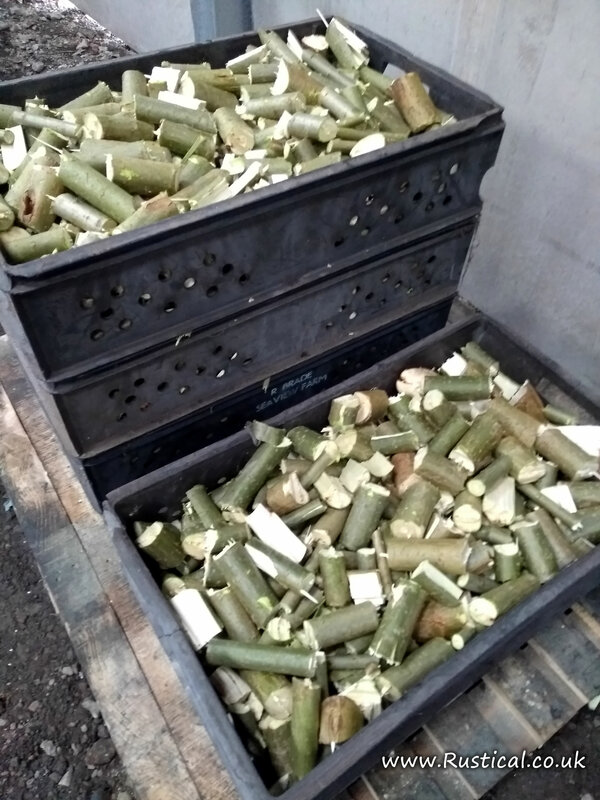 Half of the crate is made up of Cherry logs and the other half is Oak logs. Both are only partially seasoned and they have been cut to 10″ long i.e. Exactly what Stuart asked for. Thank you Stuart. Your order has probably helped me more than you! 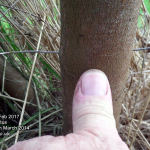 Our annual update on the progress of our firewood growing trials. 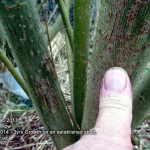 All have made very good progress but the Eucalyptus seems to be doing the best at the year 3 point. 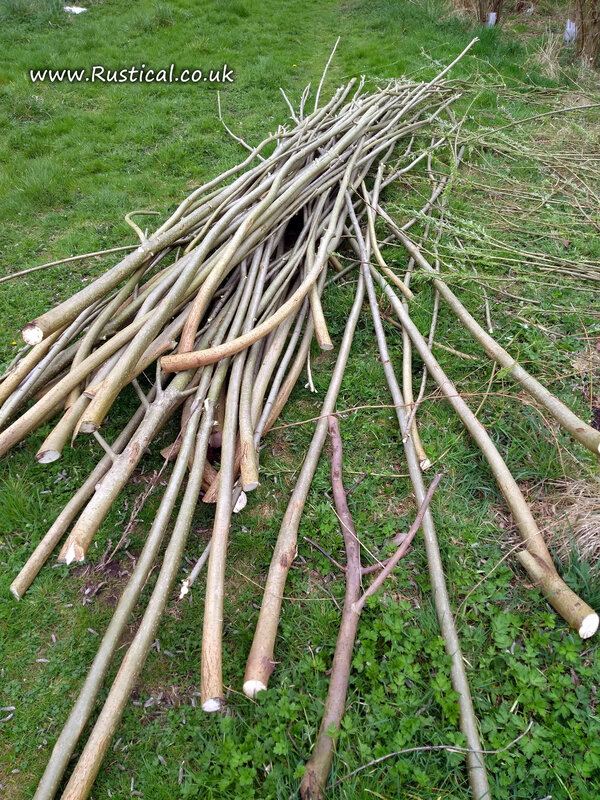 The hybrid willow would normally be harvested now and it is a perfect size for making wood chunks. 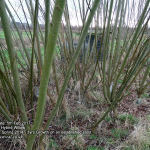 I’m beginning to notice quite a few of the ‘year 4’ hybrid willow starting to fail at the stool union with branches starting to ‘lie down’ in just the same way as mature willow trees often do. 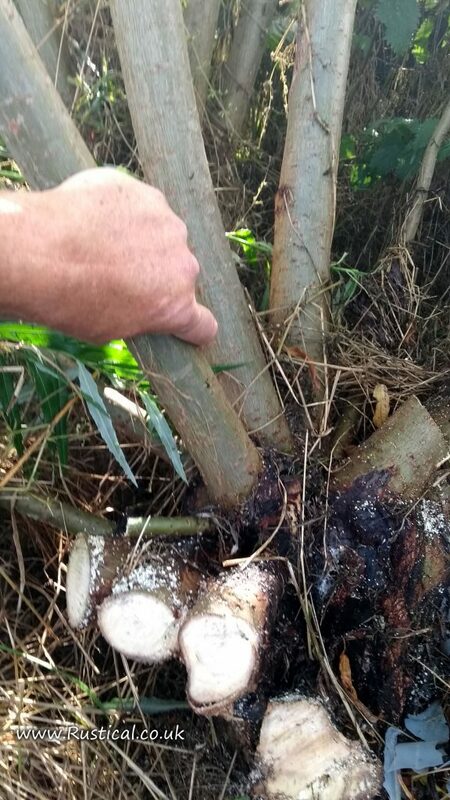 This was not anticipated (there haven’t been any storms or strong winds) but it does perhaps explain why ‘year 3’ is the target for harvesting commercial hybrid willow plantations for biomass woodchip. 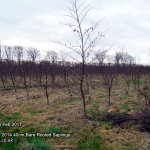 The purpose of this trial plot was to extend the cycle to six years to see if firewood logs could be produced. The fallen branches have been harvested and the stools have been tidied up; all with a very old and dull Silky. It was noted that some of the remaining branches are now getting beyond tackling with a handsaw and will require the chainsaw. 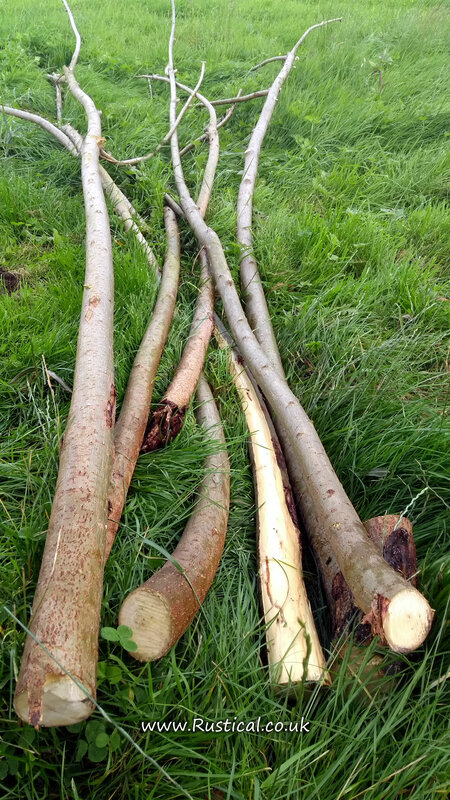 Not a bad haul from just half of one stool but I am beginning to think that the ideal point may well be at the the three year point when everything can be cut with a silky and sent straight through the branch logger for wood chunks. 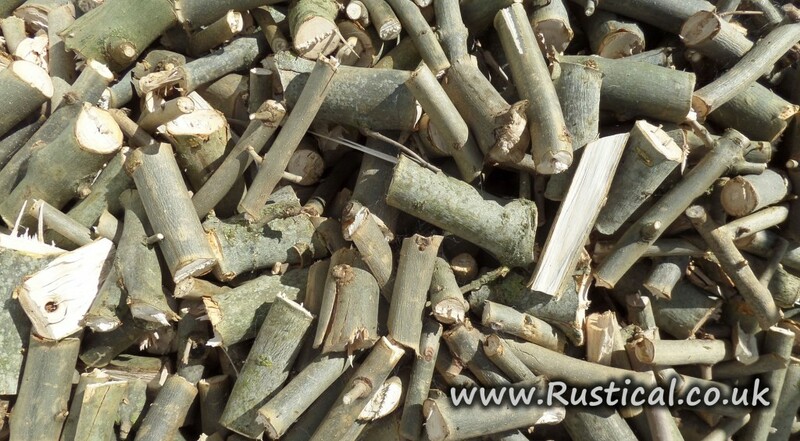 (Once thoroughly dried out, willow wood chunks make exceptional ‘charcoal’ fuel for wood fired pizza ovens). 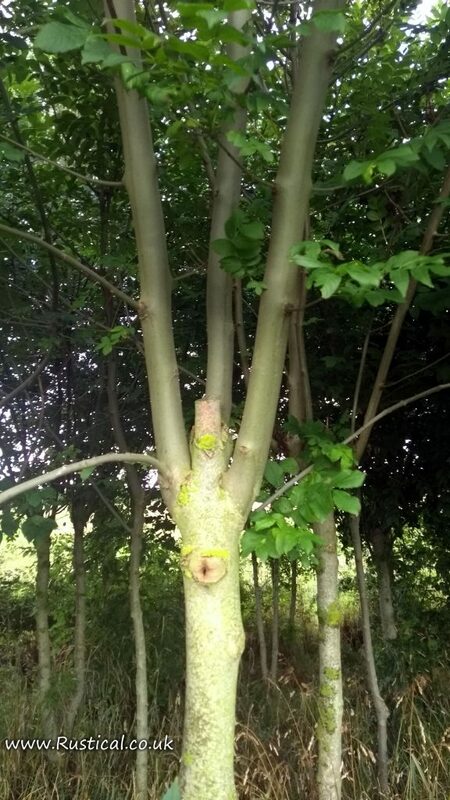 The pollarded ash is looking good with the regrowth just 1.5 years old. 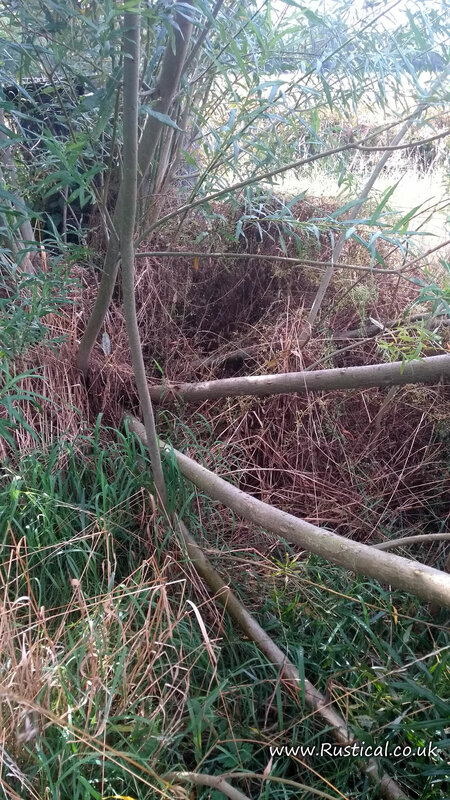 These trees were pollarded rather than coppiced as they are there to provide a canopy over where free range hens roam, giving them some shelter and protection from aerial predators. 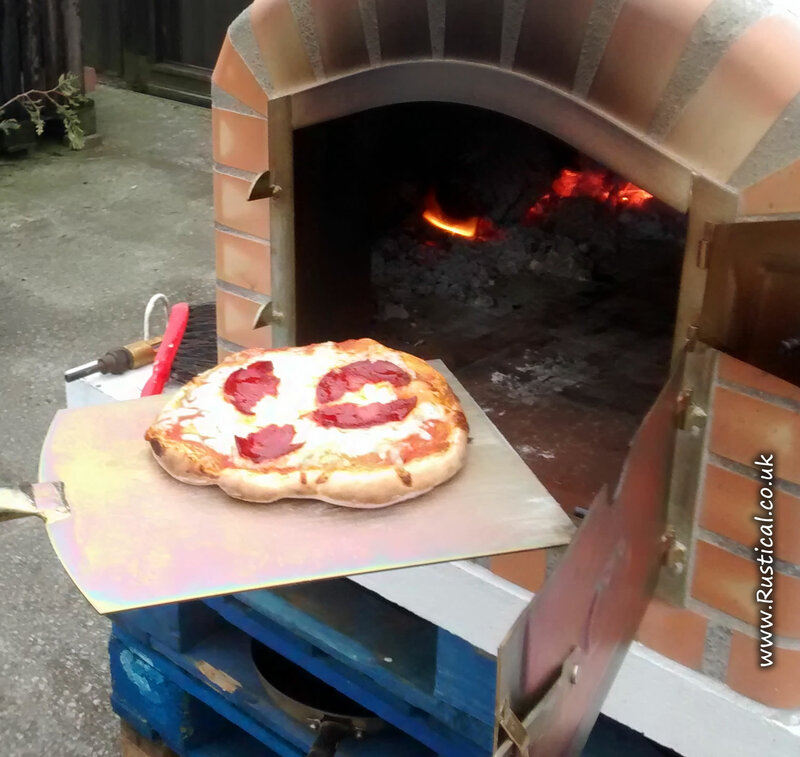 Yesterday we finally got around to making our very first homemade pizza in the wood fire oven. Liam made 1kg of pizza dough and a delicious (secret recipe) tomato sauce and so our first pizza trials began. 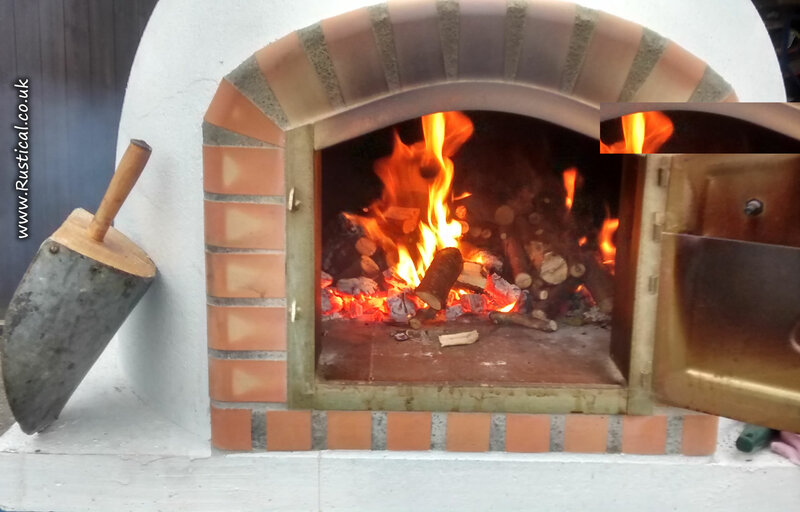 The wood chunks worked very well and got it up to a steady 300 degrees Centigrade in short order. They quickly turned to glowing embers but, unlike big logs, they were much more maneuverable inside the oven and could be banked up around the edges with ease. The oven temperature was much more stable than I expected and it was not as difficult to assess and adjust than I had expected. 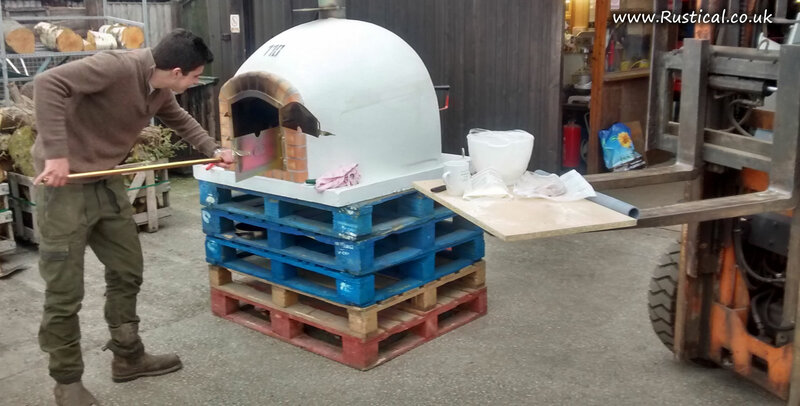 The base on the first pizza was too thick but that was easily rectified and we quickly got some first class results. We still need to work on a stand and get a proper prep table sorted out as I don’t think an old cupboard door balanced on the forklift will meet all the hygiene standards. Makeshift pizza oven stand and prep table. With the small bit of left over dough we made a few mini ‘soup loaves’ in tiny bread tins. Lovely! 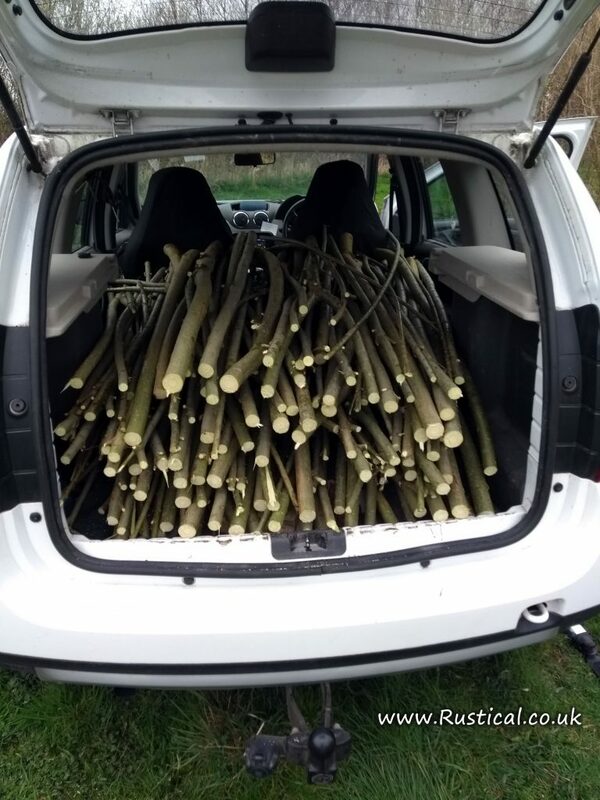 For some years now we have been growing a variety of traditional basket making willow for use as wreath bases, twig wreaths and wreath decorations with any leftovers and offcuts being used as fuel for use in wood boilers. Nothing at all goes to waste. 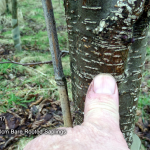 We spotted a number of websites proclaiming hybrid willow and poplar to be a rapid source of wood fuel with some astounding claims on the potential harvest so we decided to conduct our own trial. 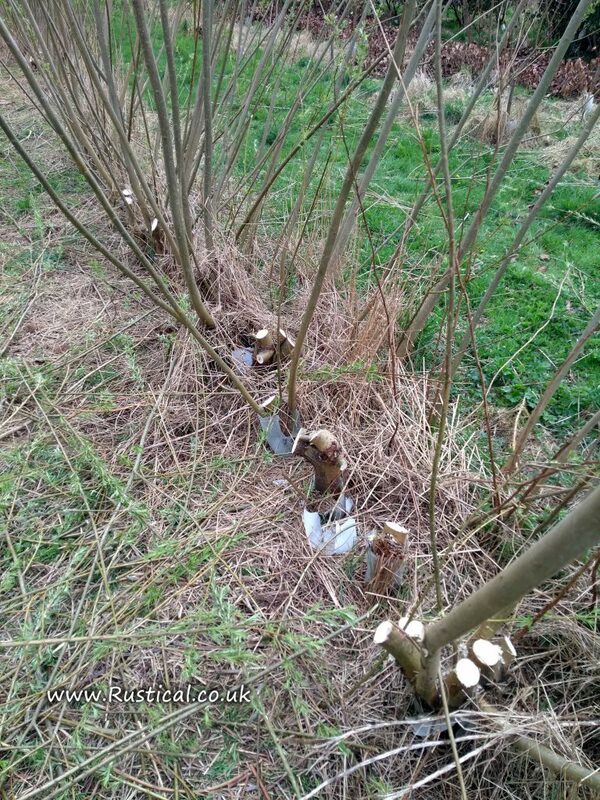 We to try a commercial hybrid willow which is planted as Short Rotation Coppice (SRC) for biomass production. 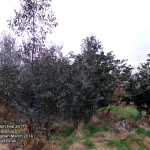 It has taken about 6 years to get enough plants propagated to establish a meaningful crop on the different soil types around the place and whilst there will be a another couple of years needed to complete the planting plan, the initial plants are now in production phase. 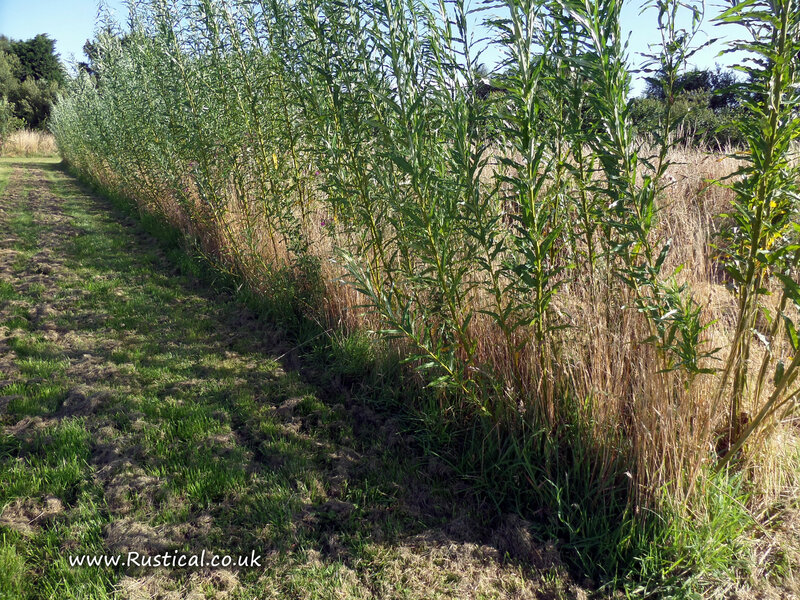 The first patch is now into its third year of growth so if it was to be used for biomass it would be harvested this coming winter. 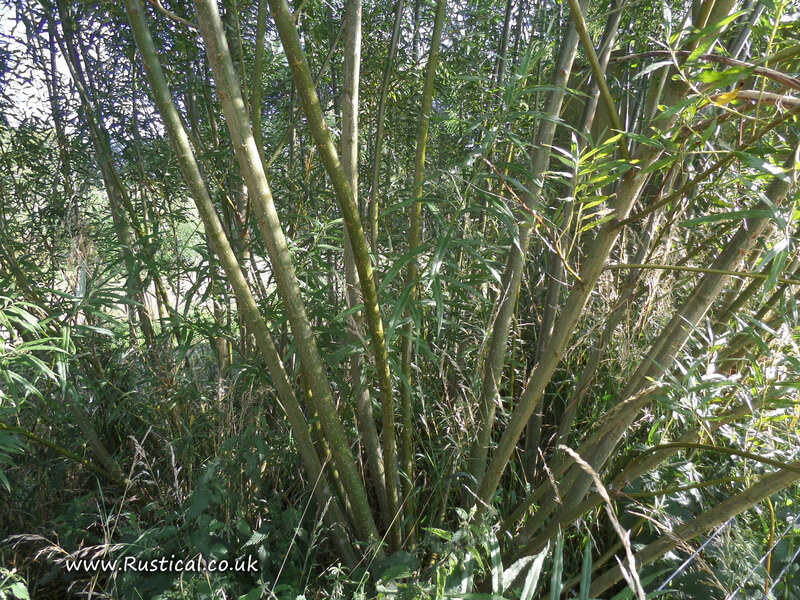 The stems are long and straight with the average diameter being around 50mm at 1m height. 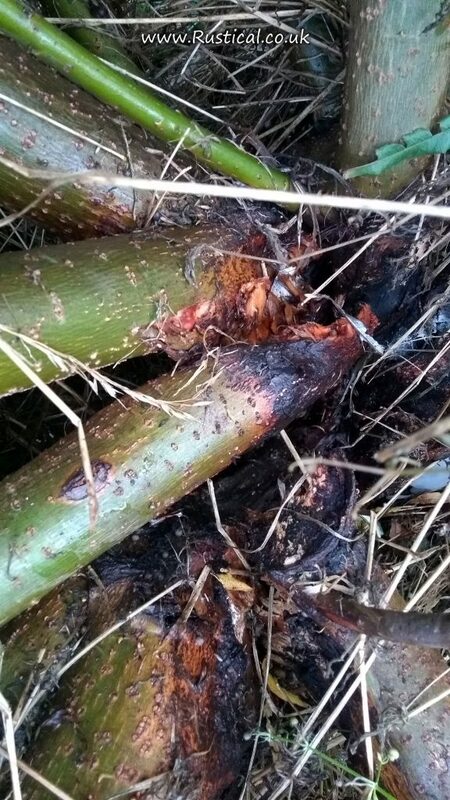 If harvested this winter and left to season, the crop would already be ideal for use as wood boiler and wood fired pizza oven fuel but we intend to leave this until at least 6 years to see if the firewood logs claimed by the sellers of the hybrid plants are attained and produced in any quantity.